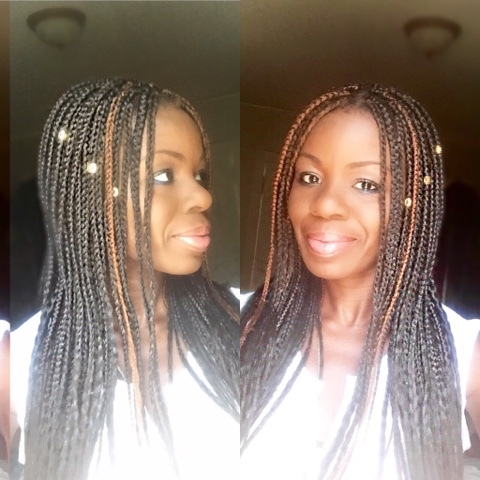 Home african threading box braids essential oils EXTENSIONS long term protective styles natural hair naturalhair Protective style protective styles Box Braids by????? Okay, I wish I could install these. But one day... We shall see. I went on vacation and decided on a whim to install these. I was just really tired of dealing with my hair and felt that it was time for it to rest for a while. Besides, I am so active that I have to wash my hair almost everyday and that is just too much for me! I allowed a professional braider to install them. I was quite a difficult client because I NEED MY EDGES!!!!! I will be keeping them for at least six weeks and no longer than two months. Cleansing I am not washing my scalp the traditional way. It is just too much work. So I decided to clean my scalp with essential-oil infused Witch Hazel. Essential oils such as Tea Tree oil and Lemon are great for cleansing and Tea Tree in particular is great for antibacterial issues such as Dandruff. I moisturize a few times a week with my homemade spray which is infused with essential oils as well. The fly-aways around my edges are tamed with my homemade pomade, which is also infused with essential oils. I will be making videos soon on using essential oils in my hair-care. So stay tuned for that. I guess you will be seeing a lot of posts on essential oils. If you have fine and thin hair, and even Alopecia, pay attention to my future posts. My post will be essential oil-heavy because I want to share the benefits of these wonderful volatile liquids extracted from nature, God's gift to us, to balance our physical and emotional well-being. I only purchase from Young Living company that guarantees nothing but authenticity and purity in their therapeutic-grade oils. Most of them can be ingested too, which I do. I don't trust any other oils out there for ingestion. If you are interested in trying these oils, go toYoungLiving Website and you can become a member. It is a referral-based company, so you have to provide the member number of the person that told you about their oils. There is no pressure because I don't sell oils. I am only sharing my experience as a customer. That experience is excellent. The oils are not just for hair. 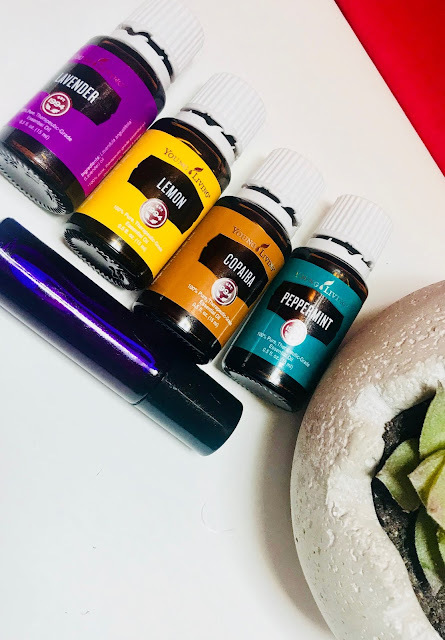 Remember, they are therapeutic-grade oils, so they tackle many ailments that result from our bodies being out of balance, from toxins in our environment. I love them!!. 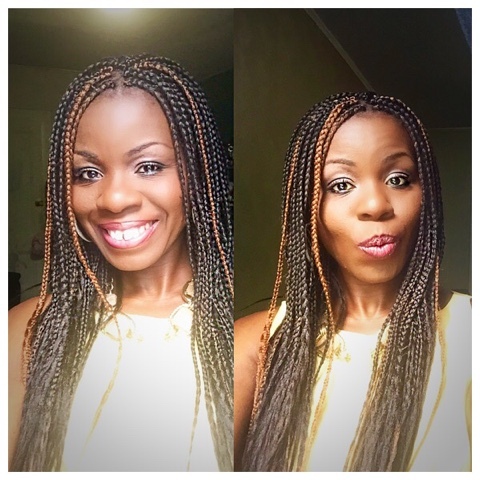 I try not to style them because the more you manipulate braids that are these long, the more you are pulling your hair. This is one of the reasons people are left with no edges after they take their braids out. Alopecia also results from excessive pulling due to doing intricate styles. I just leave them alone or pull them back with a hair tie..boring but my hair follicle is being kept intact!!! Cute! I want to get box braids. I'm scared they will break my hair off thou. Great tips for maintenance. I do the same with the sengalese twists. I find using an oil to cleanse or a dry shampoo is best instead of shampooing with water.